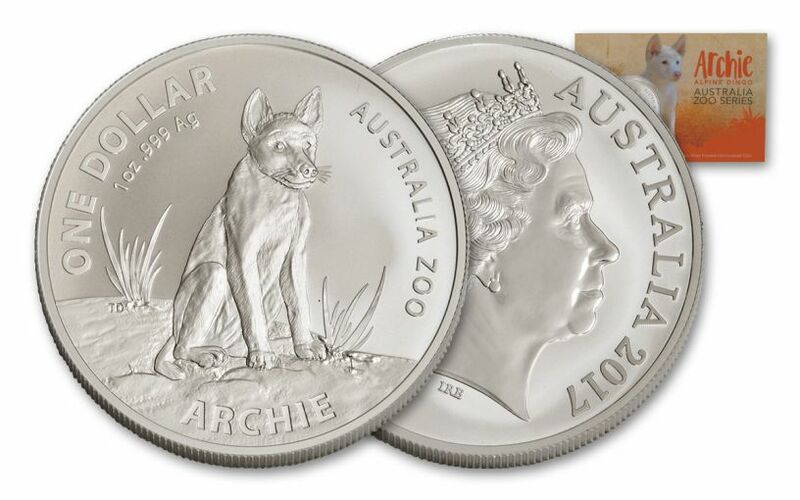 Rare White Dingo Spotted in Silver! 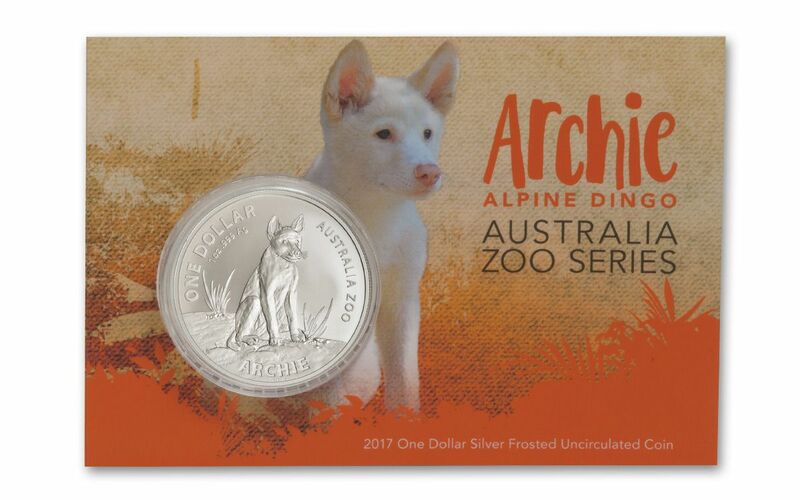 This brand-new proof from The Royal Australian Mint, struck in cooperation with the Australia Zoo, celebrates the first birthday of Archie the Alpine dingo. Unlike his two sisters, Jira and Eve, Archie is quite rare in that he was born with beautiful white fur, making him an instant celebrity! 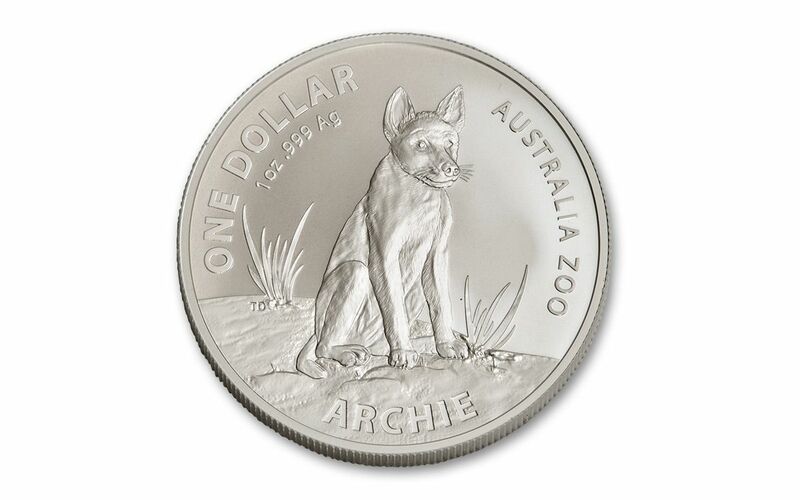 Struck in a full ounce of 99.9% silver, this legal-tender dollar coin features Archie sitting on a grassy hill in the Australia Zoo. 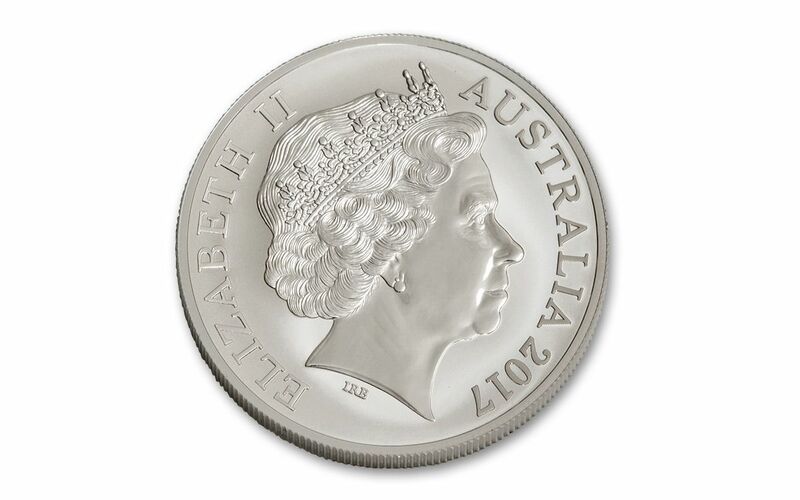 He comes in Brilliant Uncirculated (BU) condition, housed in the original blister card from the Royal Australian Mint!